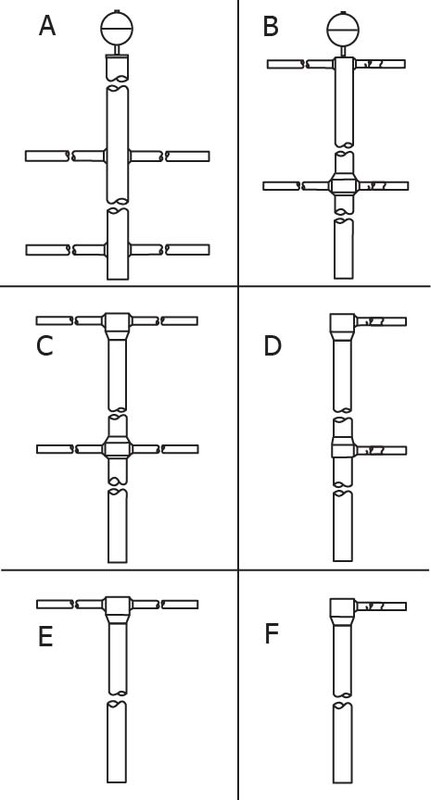 5.5″ Banner Poles are designed to hold one or two banners and are engineered for strength, beauty and long life. Persons wanting a banner pole for long term use frequently utilize this type of Pole. Aluminum and Steel banner poles can be powder coated white or black (other colours are available at an additional cost, please specify PMT colour). The pole is inserted into an ABS plastic tube, which will need to be set into concrete and levelled. The most common way to finish the base of the flagpole is to use landscape rock. Note: Wind kits are optional for mounting banners. Wind kits help reduce stress on the banner and hardware in gusty weather. View the Wind Kit page for more information. Chain Banner Brackets fit a variety of pole diameters and shapes; the bracket is slotted allowing the stainless steel chain to be adjusted. 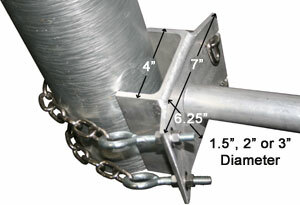 The minimum diameter pole is 3.5″ and the maximum is 14″. Aluminum arms do not require powder coating; add $15 to powder coat aluminum. Steel arms come powder coated; standard colours are black, white, grey, green.